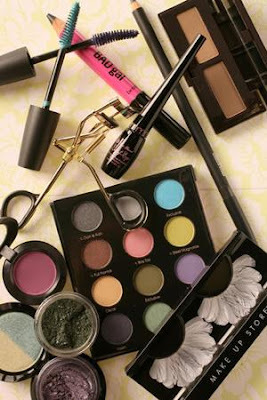 Babblings of a Mommy: What's Your Next Beauty Purchase? What's Your Next Beauty Purchase? Hey girlies! Just curious what everyone's next beauty purchase will be? Will it be make-up, body lotions, hair products? Or do you have something you've been eyeing for awhile and are dying to get? Share with us! My next beauty purchase will probably be some new MAC kohl eyeliner in Smolder because mine is almost out & I wear it everyday!! I STILL have yet to try bare minerals! I lost my Smashbox O-Gloss so i have to buy another one. I LOVE O-Gloss and the O-Glow cheek gel - creates a unique color based on your skin composition!